Greyhound Combustion & Controls, Inc. - Pearland, TX | Supplier and servicer of combustion equipment and industrial heating spare parts including multi-fuel burners, low emission burners, infra-red and oxy-fuel burners used in every type of industrial heating process. Greyhound Combustion & Controls, Inc.
Greyhound Combustion & Controls, Inc. has been supplying industrial blowers, valve trains, flame monitors, controllers and other combustion system components including manufactured combustion equipment and parts to satisfied customers for more than 25 years. Designed to deliver more, these burners represent a technological leap forward in every area of design and performance that counts. ThermJet burners set new standards for velocity, emissions and flexibility. 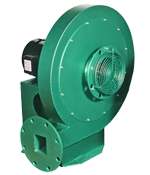 are line type burners ideal for generating volume of clean, hot air. Applications include oven, dryers, fume incinerators, and similar industrial equipment.